The Hydrex® fuel bladder is constructed from specially formulated materials suitable for the storage of fuels and petro chemicals. We offer different thicknesses of fuel bladder material, depending on the clients application. Typically material thicknesses range between 800 and 1400 microns. 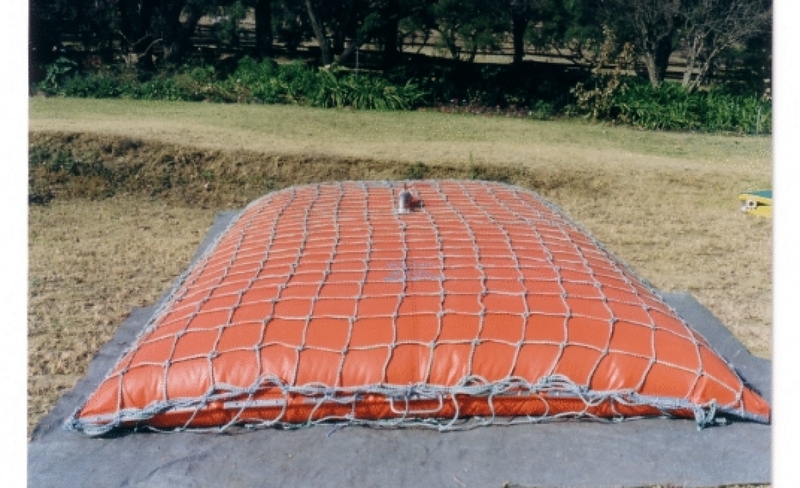 Fuel bladders are used extensively for rapid deployment projects. Bladders can be used for trucking, marine and air transport. The fuel bladder can be stored for many years, and is re usable. We offer all fuel filtration and dispensing accessories with our products and can tailor make complete off-loading and distribution systems. Our fuel bladder vary in capacity from 250 Liters through to 50 000 Liters. We can also custom make bladders sizes as per clients request. Hydrex® water and chemical bladders are constructed from heavy duty supported PVC fabrics, that are either specially formulated for potable water or chosen for chemical compatibility. We offer different thicknesses of material depending on the clients application. Typically material thicknesses range between 800 and 1400 microns. Bladders are used extensively for rapid deployment projects. They can be used for trucking, marine and air transport. Please click on one of the links below for more information on Hydrex Bladder construction and specifications. Should you require a customised fuel bladder for fuel, water, sewage, or any other chemicals, please contact our sales support team for additional information and pricing regarding these and other products.